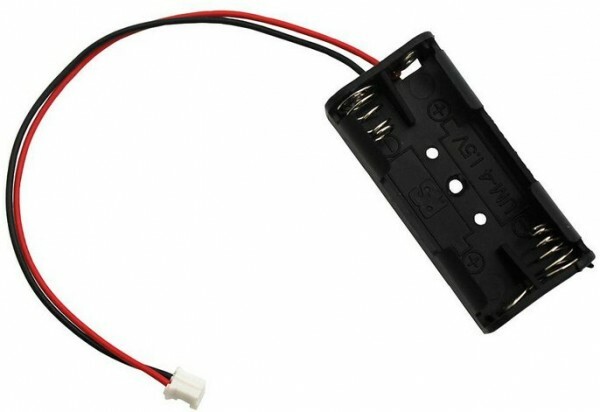 Produktinformationen "2 x AAA Battery Holder with 2-Pin JST for MicroBit"
This open holder for 2 x AAA batteries comes with a 2-pin JST connector for plugging directly into the Micro:Bit. Ideal for simple use of Micro:Bit on the move. Weiterführende Links zu "2 x AAA Battery Holder with 2-Pin JST for MicroBit"
Garantie(Jahre) "2 x AAA Battery Holder with 2-Pin JST for MicroBit"
Kundenbewertungen für "2 x AAA Battery Holder with 2-Pin JST for MicroBit"